On the auspicious day of Saraswati Puja, students of IIM Ranchi came together to seek the blessings of the deity of knowledge, music, art and culture. 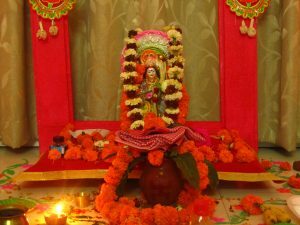 Girls clad in vibrant Saris and boys in traditional Kurtas together worshipped Goddess Saraswati in a customary style. It was interesting and delightful to watch two senior students from the institute- Shubhobrata Palit and Kaustav Saha perform all the traditional rituals associated with the Puja with remarkable meticulousness. Saraswati Mantras were chanted in impressive Sanskrit while students transformed into ardent devotees. “After all, it is because of Goddess Saraswati’s grace that we are here!” exclaimed one of the students. 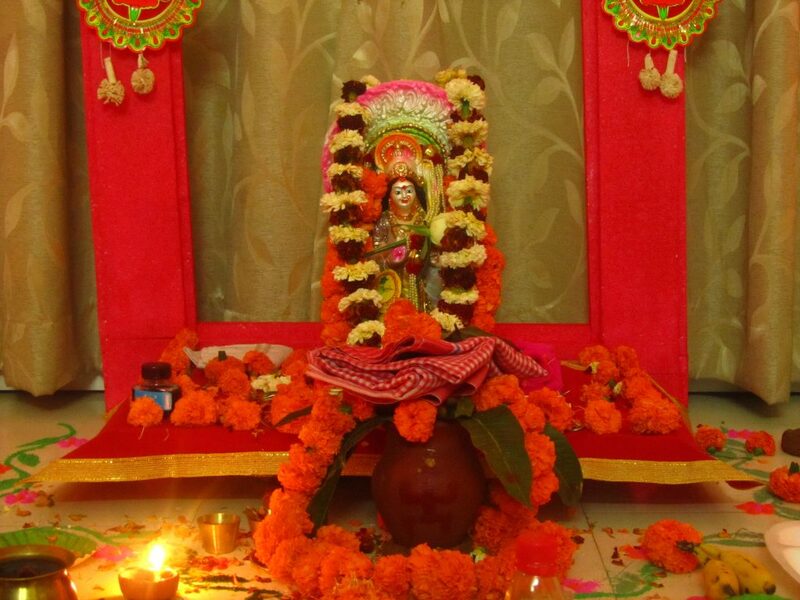 Be it Christmas, Saraswati Puja or Lohri, IIM Ranchi has been celebrating different festivals with the same fervor. Believers as well as non-believers, all come together under one roof to celebrate these festivals. Saraswati Puja is just another attempt by the students to preserve the Indian culture and to instill a sense of respect towards long-established traditions. These celebrations ensure that students find a home away from home in the IIMR hostel. Such a sight is rare in today’s fast paced world where youngsters, least bothered about customs and traditions, live in their own bubbles. By hosting such festivals, students at IIM Ranchi have in a way succeeded in coming out of their bubbles and embracing the Indian way of celebrating life!